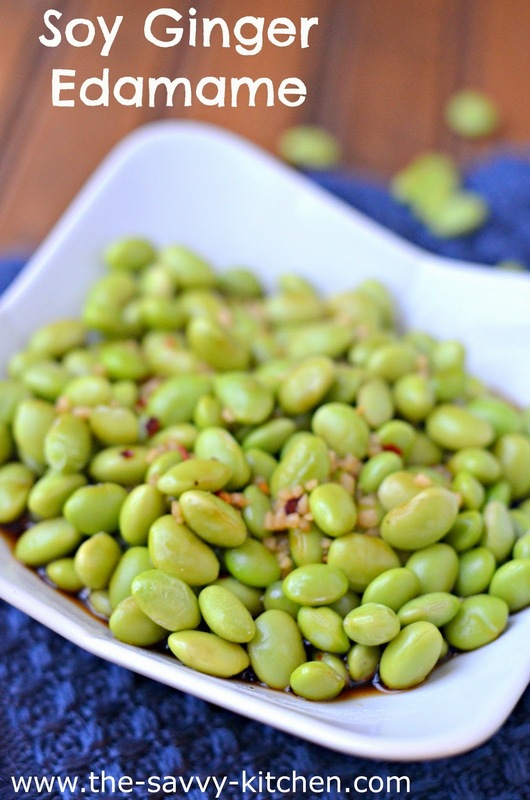 I like to keep frozen shelled edamame on hand since it's a quick snack that's filled with protein and fiber. I eat edamame plain all the time, but every once in a while I like to spruce it up. 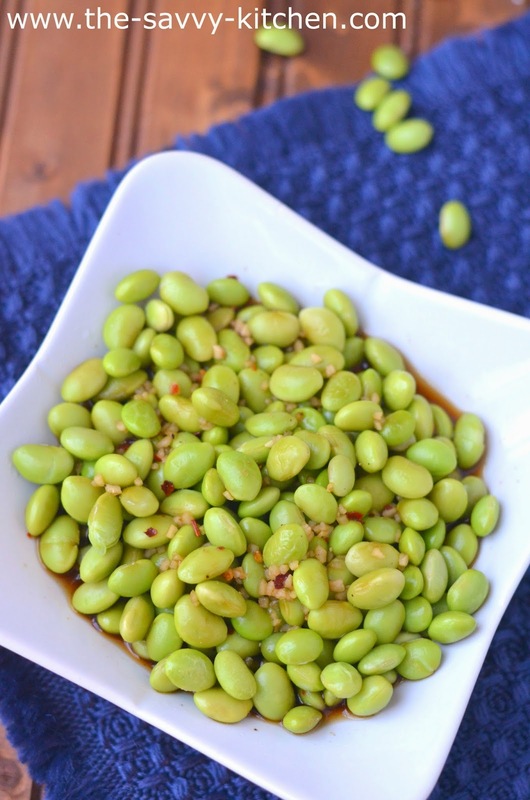 Crispy Parmesan Edamame is a fun and easy snack, while this particular recipe makes a great side dish. The longer it sits in the marinade, the better the flavor--so if you have time to make this in advance, I suggest you do it! It's bursting with a combination of sweet, savory, tangy, spicy flavors. Enjoy! Cook edamame according to package directions. Drain and set aside. In a medium bowl, combine brown sugar, water, soy sauce, ginger, rice vinegar, garlic, red pepper flakes, salt and pepper. Add cooked edamame and stir to combine. Allow to sit for at least an hour, if possible. You can also serve immediately, at room temperature or cold.